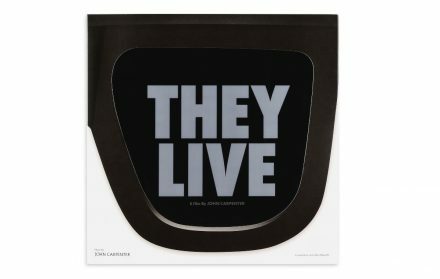 Now on sale from Mondo via their Death Waltz label is the original motion picture soundtrack from the John Carpenter classic ‘They Live’. Composed by John Carpenter and Alan Howarth, the score has Carpenter’s trademark synth sound, with some noticeably western-inspired undertones, and is one of his best. The album is available in two designs: ‘Formaldehyde Face’, which is a Reverse Purple and Blue Splatter clearly inspired by the aliens’ bizarre appearance, and the black and white swirl design titled ‘Annihilation of Consciousness’. This entry was posted on Wednesday, January 30th, 2019 at 00:02	and is filed under Movies. You can follow any responses to this entry through the RSS 2.0 feed. Both comments and pings are currently closed.